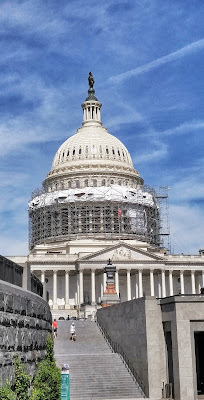 On Wednesday, we took a tour of the U.S. Capitol which is undergoing renovations. 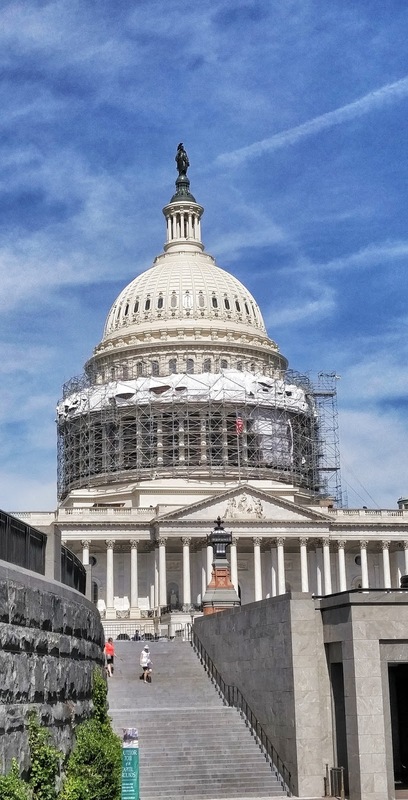 Construction has been going on since 2015 and the project will be complete and the scaffolding removed by Inauguration Day 2017. 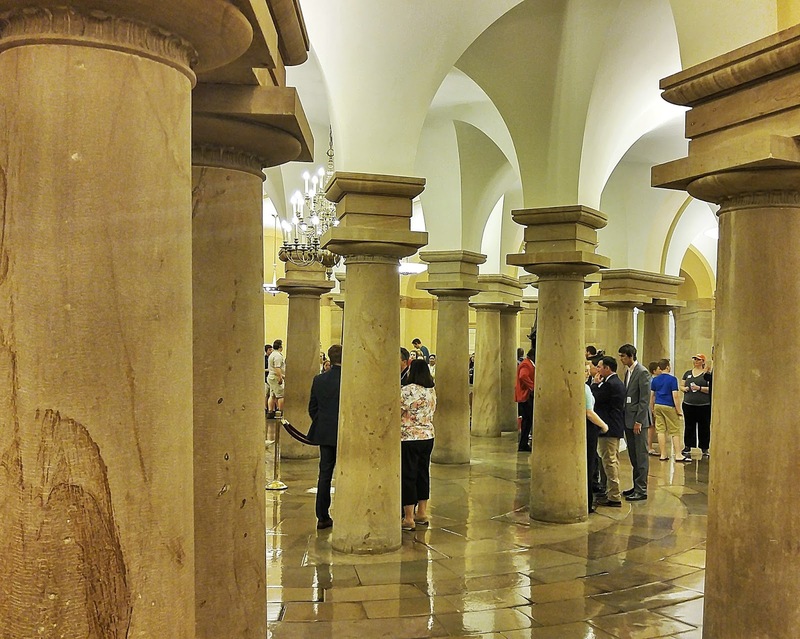 Going on a tour of the Capitol is organized chaos as there are hundred of people touring it at the same time. 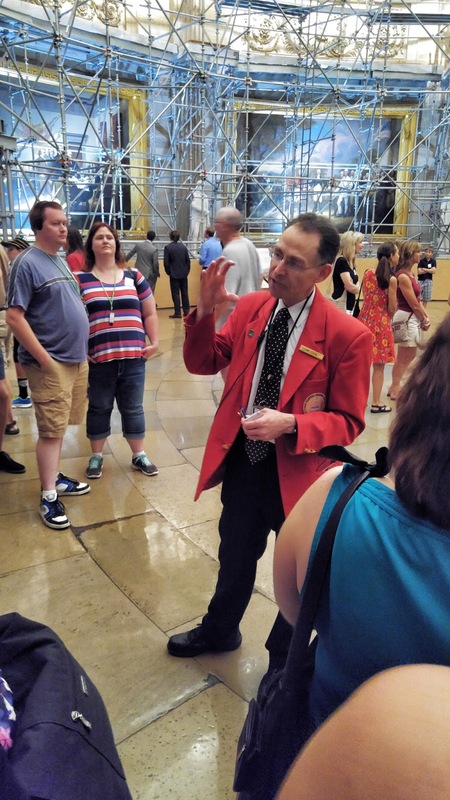 As a visitor you are divided into smaller groups and a set of headphones which is connected to a microphone on your tour guide. It was nice to be able to hear everything our guide was saying no matter where you stood and our guide was Alan who was of course an expert on every aspect of the Capitol. You start in the Crypt which was originally designed as the final resting place for the Father of our Country, George Washington. Washington never wanted to be buried here and ultimately his family decided to leave him in his final resting place at Mount Vernon. Each state has two statues around the Capitol celebrating two people that the state legislatures have designated. 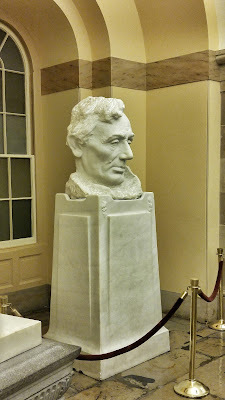 This statue to Abraham Lincoln in the Crypt was done by Gutzon Borglum who designed Mount Rushmore. 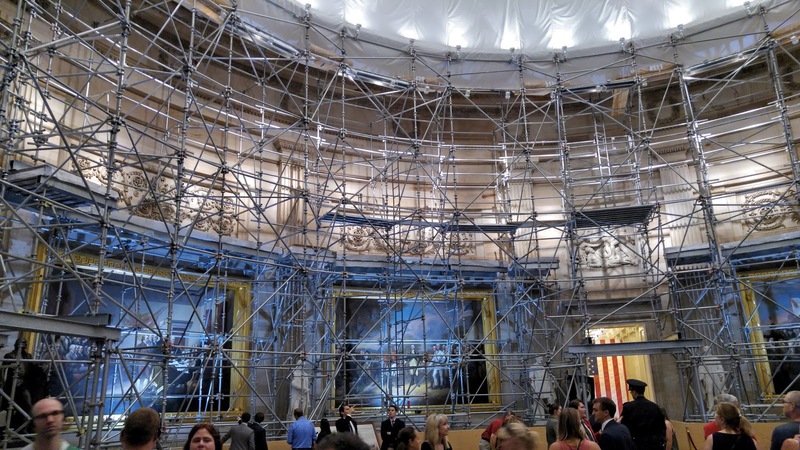 As I mentioned before, the Capitol dome is under construction and so we had scaffolding blocking most of the portraits and statues. 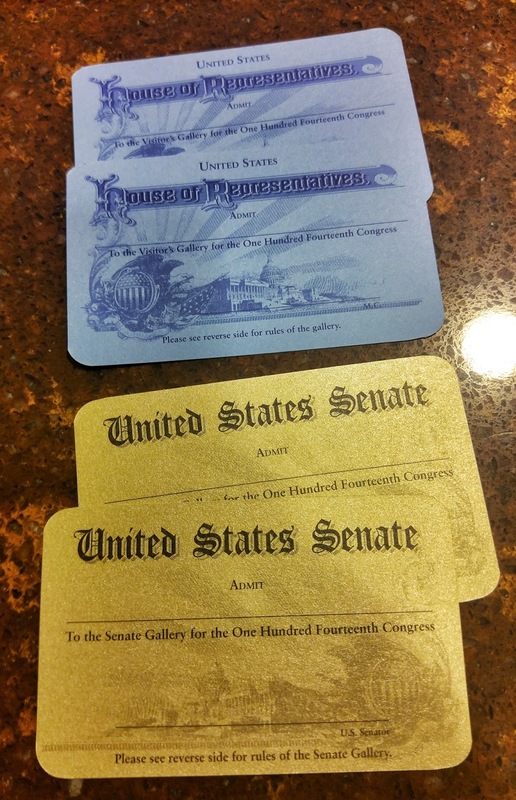 I guess it gave us a unique view of the Capitol that not everyone gets to see. 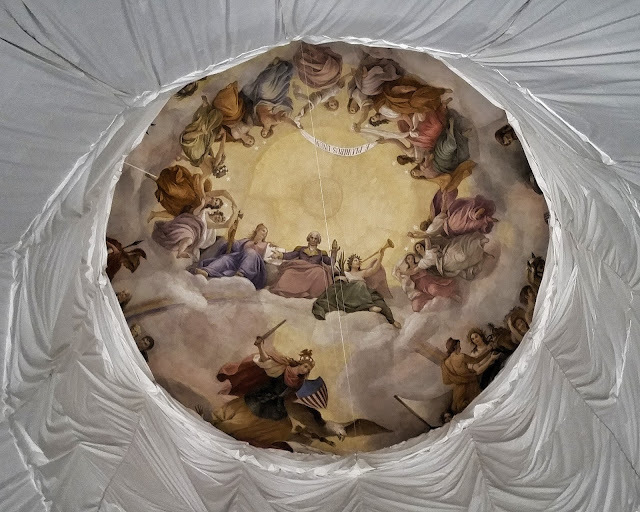 The Dome itself was mostly covered by a cloth except the center which shows Washington in heaven with 13 woman that represent the 13 colonies plus Liberty and Victory sitting at his side. The painting is called the Apotheosis of George Washington which means Washington becoming a god. It really is a testament to Washington that he didn't become a dictator of the new country because I think a large majority at the time would have been alright with that. After the Capitol tour we were going to see the House and Senate both of which were in session. 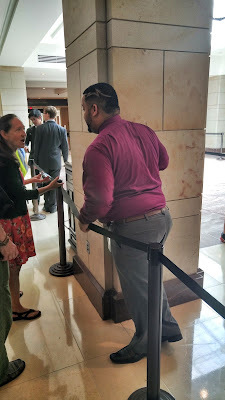 For that part of the tour, you need to get passes from your representative or senator and Laura stopped by our Atlanta representative's who is John Lewis. He's famously wearing the backpack in this photo or on the far right of this one. 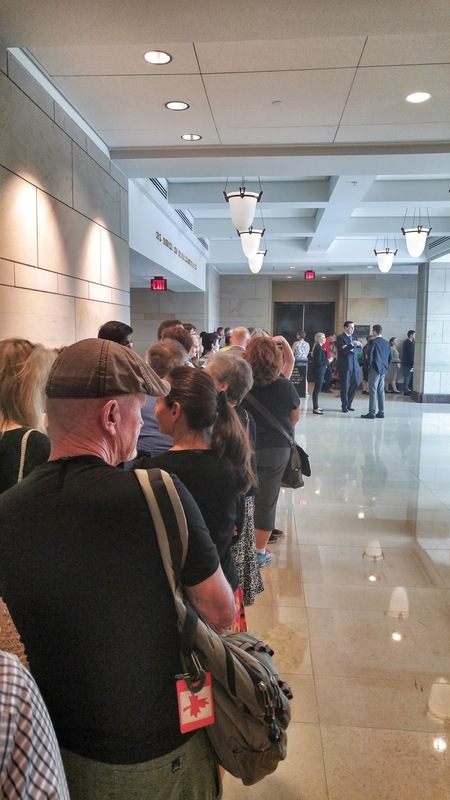 As we were waiting in line to view the House of Representatives, I received an e-mail alert from the Atlanta Journal-Constitution that Rep. John Lewis was staging a sit-in on the floor of the House. I was shocked as we were just a few hundred feet away. 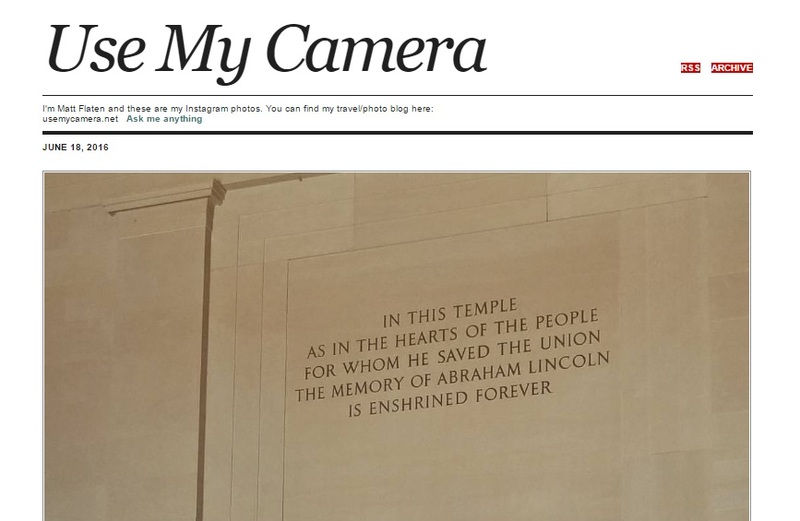 Maybe we would get to see some history in the making! The line eventually stopped moving and Capitol staff came out and told us that they weren't letting anyone else in while the protest was going on. We could wait in line if we wanted to but it could be several hours. The sit-in lasted until the next day and brought a lot of attention to the gun control legislation debate. We will give the House and Senate a try on another day...now when are the Supreme Court cases announcements being announced again?